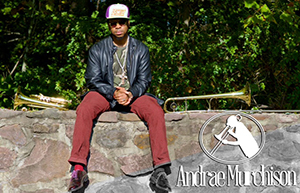 Born and raised in the soulful roots of Savannah, Georgia., Andrae Murchison grew up surrounded by traditional gospel music at home and in church. He first experienced playing music at The United House of Prayer as a drummer alongside his grandfathers lead vocals. The UHOP brass bands introduced him to the trombone around the age of nine. The power of the music touched his soul and was the beginning to his musical journey as a trombonist and composer. Murchison moved on to study music fundamentals, trombone, and baritone in the school band from Hugh Johnson. He first experienced playing jazz while performing with the Savannah High School Blue Light Jazz Band under the direction of Michael Hutchinson, and sitting in with his mentor Teddy Adams, and local all-stars Doug Carn, Delbert Felix, and Eric Vaughn. While attending the Savannah Arts Academy, Murchison became seriously interested in jazz after being selected for the Georgia All-State Jazz Band in 1999. After graduating high school, he took the initiative to study under the finest musicians and institutions in the business. His most influential mentors are Curtis Fuller, Slide Hampton, Ron Westray, Robin Eubanks, Donald Byrd, Wendell Logan, and Steve Turre. He went on to recieve a Bachelor's Degree in Jazz Studies from Oberlin Conservatory of Music and a Masters Degree in Arts from Aaron Copeland School of Music at Queens College. 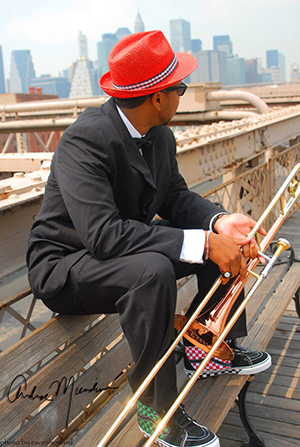 Since his arrival to New York City, he has performed with Roy Hargrove, The Duke Ellington Orchestra, The Count Basie Orchestra, Abdullah Ibrahim, The Skatalites, Gregory Porter, Monty Alexander, Ravi Coltrane and many more. Murchison tours the world as a successful sideman and also leads his own ensemble called "Murch Church". In addition to performing, Murchison has served as a jazz clinician and low brass specialist at numerous institutions and communities around the world. 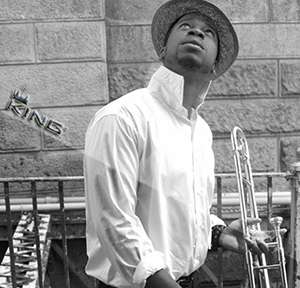 Murchison's schooling continues at "The university of streets", which has granted him the opportunity to work and study alongside Jimmy Heath, Benny Golson, Gladys Knight, Aretha Franklin, Harry Connick Jr., Kim Burrell, Jay-Z, Mary J. Blidge, Common, Dennis Edwards and The Temptations, Four Tops, Brian McKnight, Ledisi, and many others. He has also performed at The Montreuax Jazz Festival, Joy of Jazz Festival, WOMAD, Lionel Hampton Jazz Festival, Jamaica Jazz Festival, Tokyo Jazz Festival, The Letterman Show, and numerous festivals, concert halls, and venues worldwide. AM's role as a sideman prepares him for the pursuit of his own musical and spiritual vision. So far, he has recorded and produced three albums as a leader. His compositions document his journey, and is a honest testimony about where he comes from. 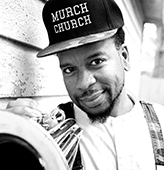 Murch's music is a mixture of southern blues, gospel, soul, jazz, reggae, and funk. As Murch steps further into the rhythm of his ministry. He strives to bring the soul of the church to the streets, preserve his southern roots, and be a positive voice of love, healing, and freedom in the world.